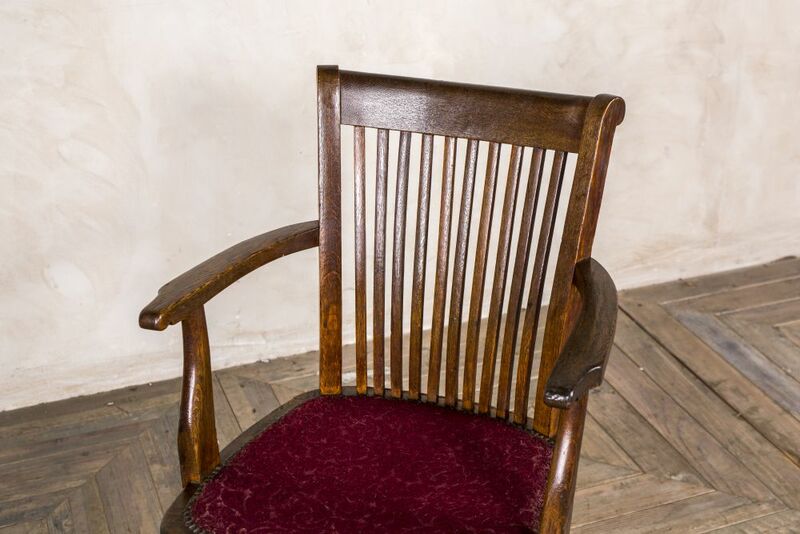 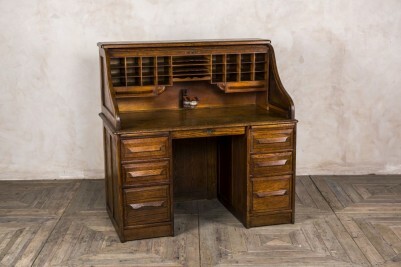 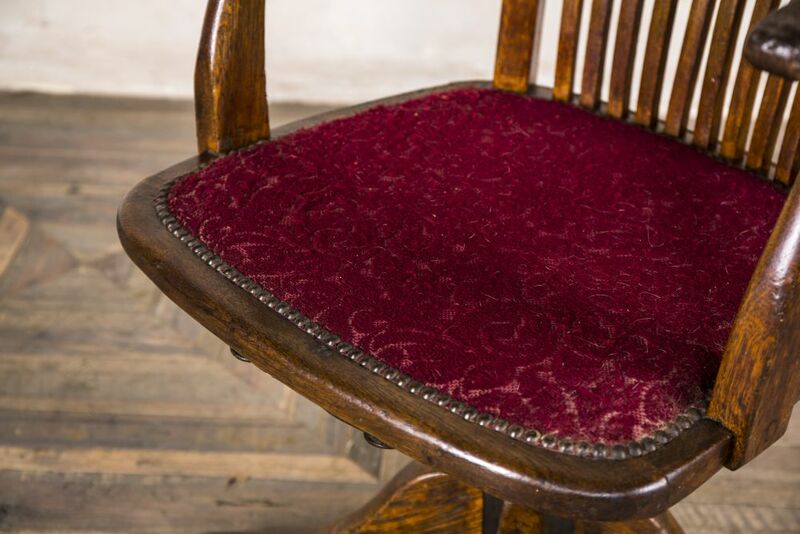 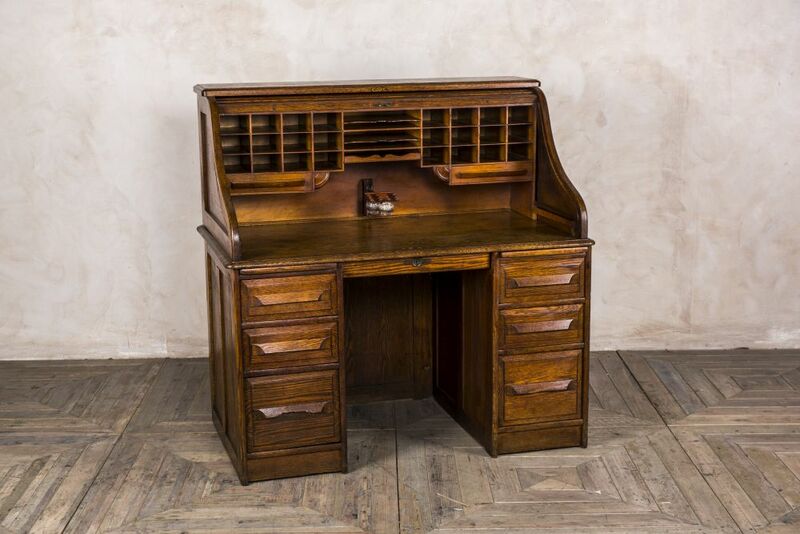 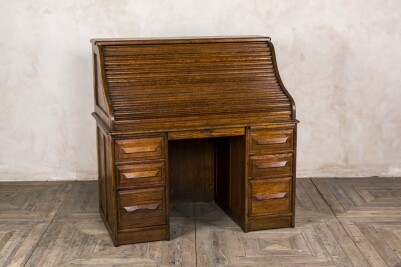 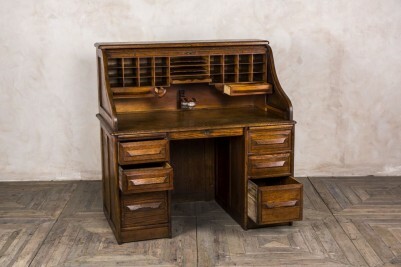 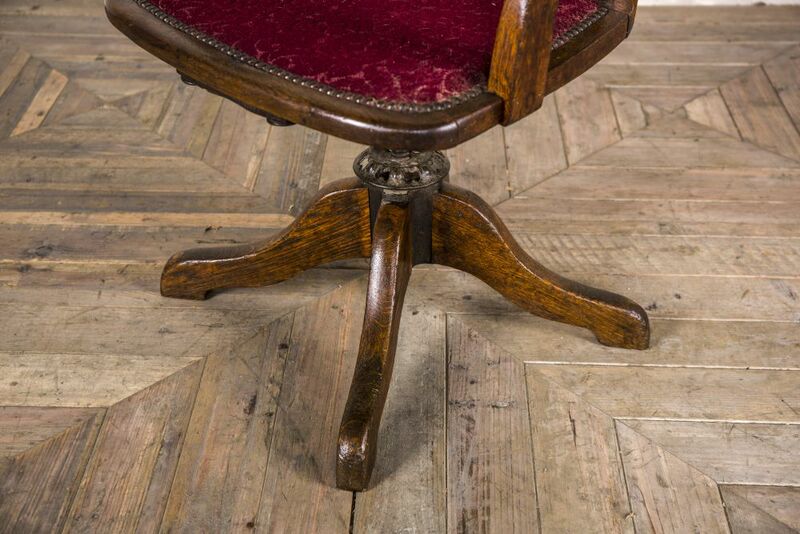 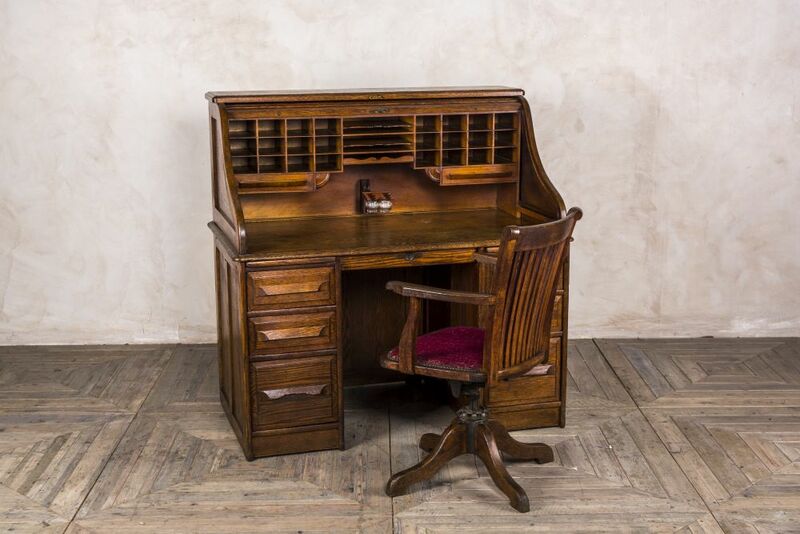 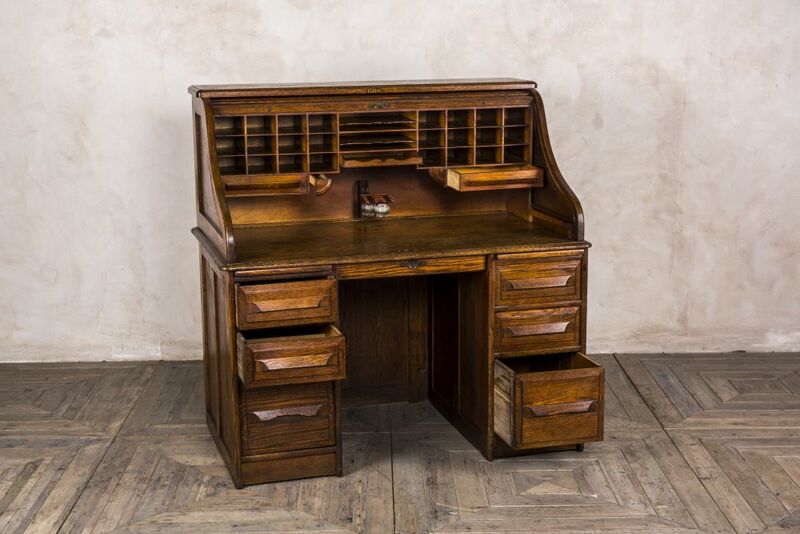 This antique roll top desk and chair would be a striking addition to a period property. 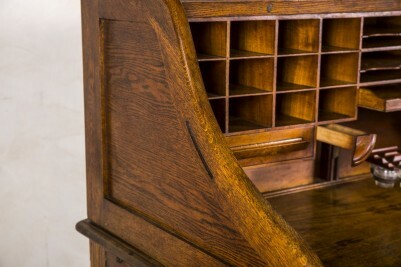 The desk and chair are Edwardian, and both made from oak. 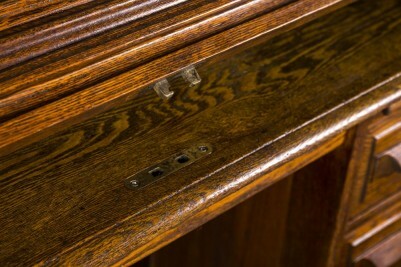 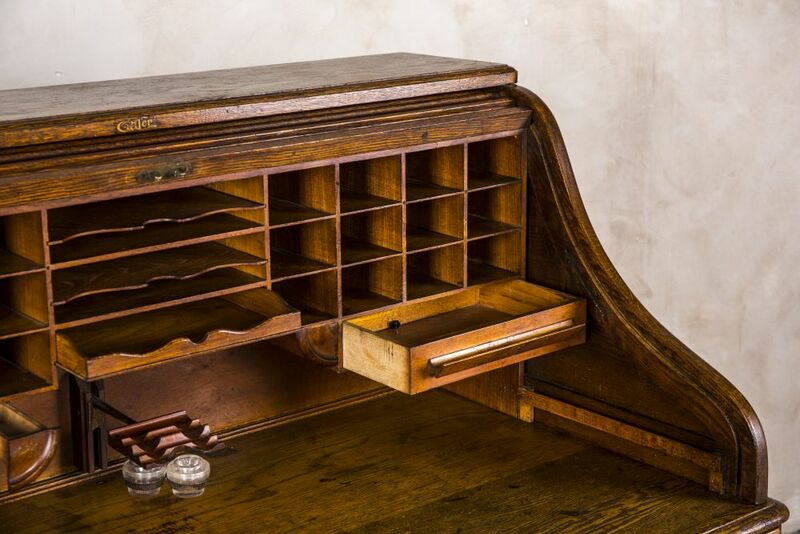 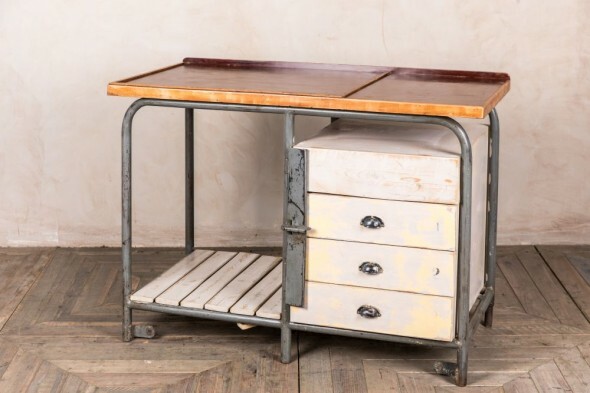 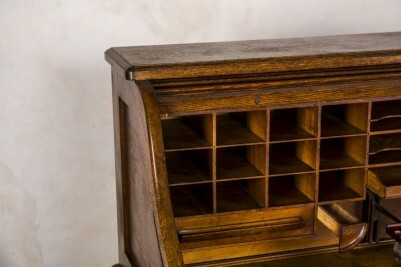 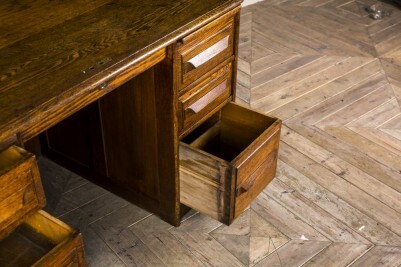 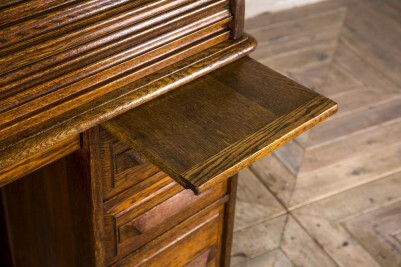 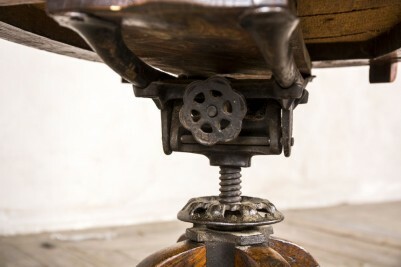 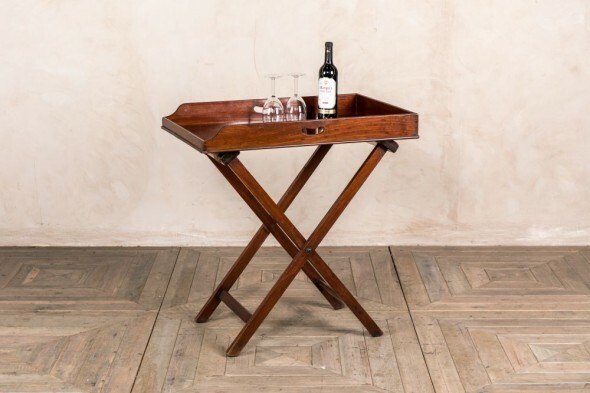 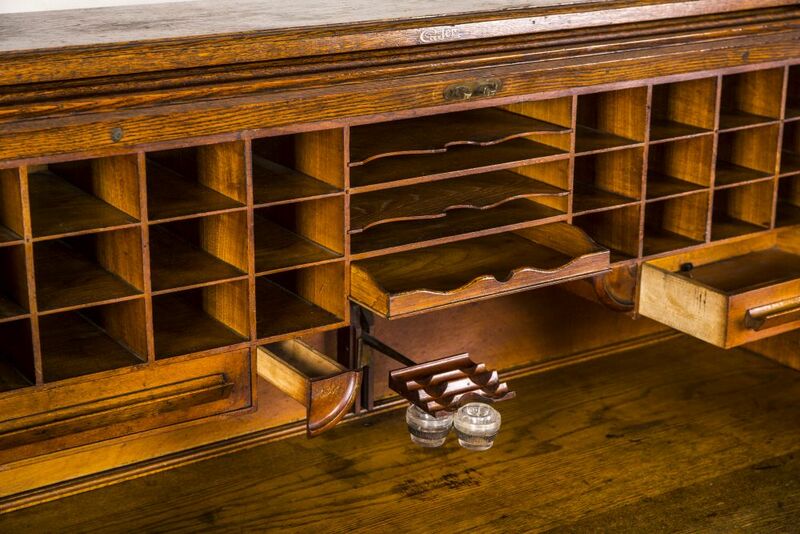 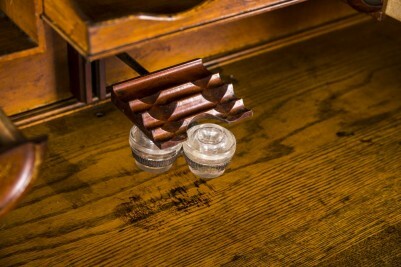 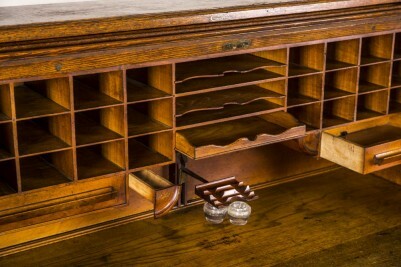 The desk offers ample storage and has many original features such as pen slides and ink wells. 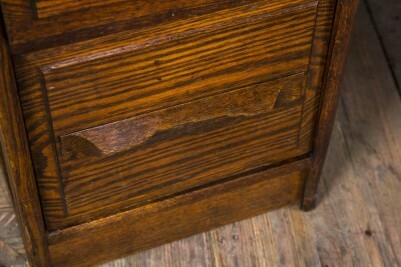 The middle drawer can be locked and does come with the original key. The desk is in its original finish; as it is over 100 years old there are signs of wear and tear which add to its character. 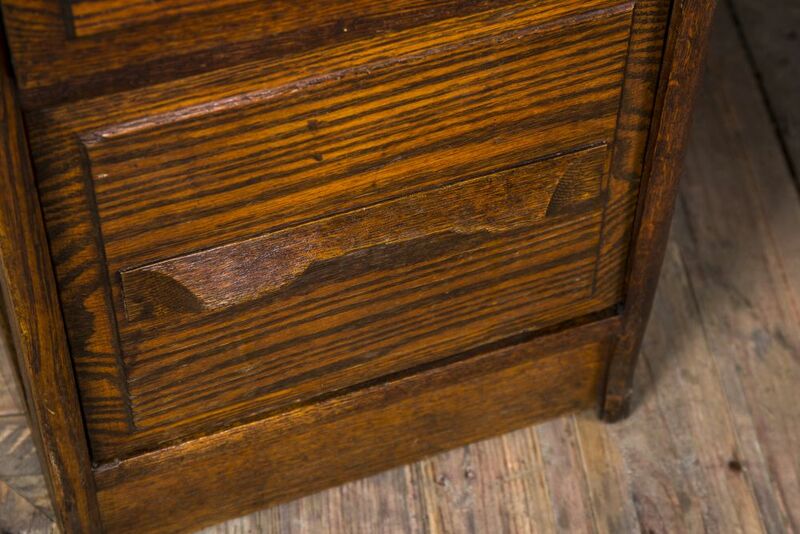 As shown in the pictures, one of the bottom drawer handles is chipped. 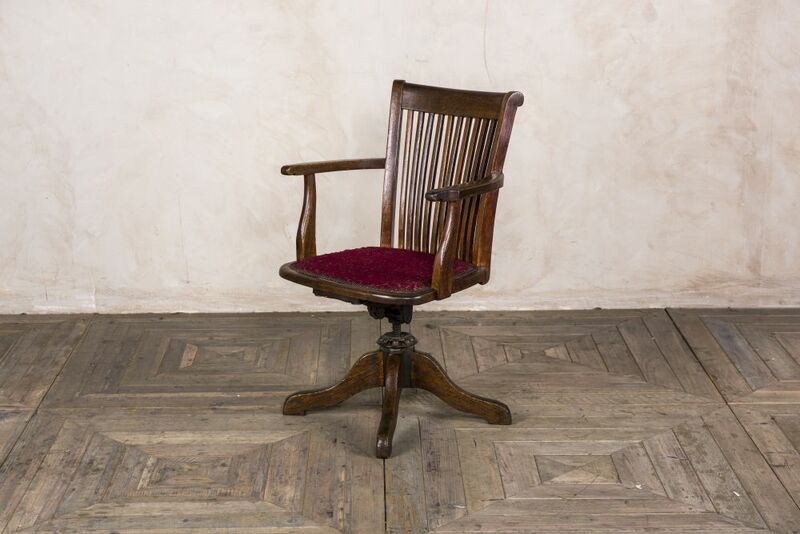 The desk chair swivels, and it is height adjustable and can be reclined. The seat pad does show signs of age, but it could be easily replaced.